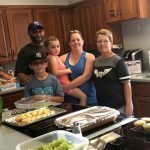 We developed friendships with other families staying at the Ronald McDonald House who were going through the same thing. Just being able to have a place to go everyday is a blessing. Words cannot express our gratitude. We take with us memories of friendliness and hospitality. There is security in knowing there are so many people who continue to care about you. We still have a long journey ahead of us but thanks to the comfort and care at the Ronald McDonald House the physical and emotional pressures of the first critical three months were easier to handle. I cannot put into words the thankfulness my wife and I have for this house. The house, the staff, the donations, and the volunteers have helped us in ways we will never be able to repay. 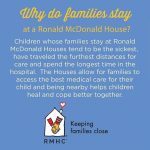 You can easily provide financial support to the Ronald McDonald House Charities of Northeast Kansas by selecting us as your charity of choice! 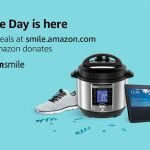 Every time you shop, we receive a donation at no cost to you! Each year the Ronald McDonald House Charities of Northeast Kansas serves hundreds of individuals. This is just one of their heart-warming, inspirational stories.